Ian Griffin, Britain's award winning keyboard player, first appeared on BBC 1 TV at the age of twelve in a programme which featured Britain's Young Entertainers. He played a Hammond organ and was voted back a second time by the live studio audience. It was when co-producing organ-keyboard festivals for Pontin's that Ian met Andy Oakley, the most multi-talented artiste he has ever come across. Their shows together have delighted audiences at keyboard clubs all over the UK. Andy is featured in Ian's Winter Warmers together with Ian's Keyklix partner, Richard Bower, making the event so different to all others. ...is Britain's award winning keyboard player and has diplomas from two of the world's leading brand names? ...was voted the best keyboard player under the age of 18 by readers of a national music magazine? ...is privileged to have an entry in Who is Who In Music? ...that entries in this publication are by special invitation and not linked to any sale or promotion? ...has a exclusive sound system? ...plays not only electronic organs but keyboards in organ configuration, including the bass pedals? ...plays requests in the second half of his organ society concerts? ...that every show is different? ...appeared twice on BBC 1 television (nationwide) at the age 12? ...was voted top performer by the BBC studio audience? ...played blind-folded at the BBC audition for this programme? ...appeared several times on HTV 'Friday Live'? ...has broadcast 'live' on BBC Radio Wales' award winning programme. ...has his own cabaret show band - Casual Affair? ...has broadcast many times on The Organist Entertains on BBC Radio 2? ...has the gift of perfect pitch that enables him to play for any artiste in any key? ...has been voted Organist of the Year by three different organ societies? ...has travelled on British roads the equivalent mileage from the earth to the moon? ...has played on Britain's most popular commercial radio stations on special feature programmes? ...is a consultant for several electronic organ and keyboard centres in the UK? ...is a freelance self-employed artiste and not tied to any one agent or organisation? ...has had many standing ovations after his concert request spots? ...attracts large crowds of visitors from neighbouring organ societies? ...has a dedicated fan following? ...played on the same bill as the world's most famous electronic organist? ...has appeared on the front cover of two popular British keyboard magazines? 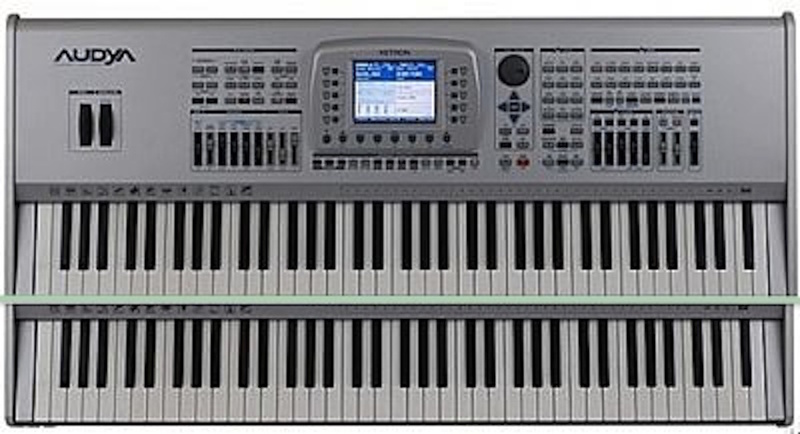 ...is one half of the KEYKLIX duo - Europe's most popular keyboard duo? ...has raised many thousands of Pounds for charity? ...has his own studio for recording artistes on the Pineapple and Orange labels registered at the MCPS? ...has made recordings for many well known singers? ...has made an album with his hobby featured on the front cover? ...was nominated for Britain's organ-keyboard player of the year in 2004 and again in 2006 at the Lyme Bay Holiday Centre before the site was bought by Tesco. Ian has the gift of perfect pitch, which makes it easy for him to play for any singer in any key. This is a rare trait. Studies show around one in ten thousand people have perfect pitch however many never discover they have it. Research at the University of California in San Diego found that while many may be born with it, discovering the gift is likely more the result of nurture than nature.